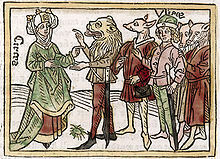 ^ "Boccaccio, Giovanni ''La Fiammetta'' (1342), Project Gutenburg". Gutenberg.org. 2003-11-01. Retrieved 2010-02-17. ^ "Boccaccio, Giovanni ''The Decameron'', Volume I, Project Gutenburg". Gutenberg.org. 2003-02-01. Retrieved 2010-02-17. ^ "Boccaccio, Giovanni ''The Decameron'', Volume II, Project Gutenburg". Gutenberg.org. 2004-08-03. Retrieved 2010-02-17. ^ "The chronological archives of his complete works". Digilander.libero.it. Retrieved 2010-02-17. ^ "Encyclopædia Britannica 2007, ''Petrarch and Boccaccio's mature years.''". Britannica.com. Retrieved 2010-02-17.